Broccoli is a member of the cabbage family. It is closely related to cauliflower. Broccoli was first cultivated in Italy. Broccolo, its Italian name, means "cabbage sprout." Broccoli is loaded with fiber, minerals, vitamins and phytochemicals. It has no saturated fat or cholesterol. Broccoli is a good source of protein, Vitamin E (Alpha Tocopherol), Thiamin, Riboflavin, Pantothenic Acid, Calcium, Iron, Magnesium, Phosphorus, Selenium, Vitamin A, Vitamin K, Vitamin B6, Folate, Potassium and Manganese. Broccoli contains large amounts of vitamin C and beta carotene which are important antioxidants. · Broccoli cantains sulforaphane which is a chemical that works with cells that lack an anti-tumor gene to fight prostate cancer. 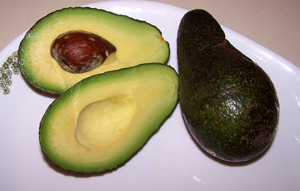 · Ample supplies of vitamin K and vitamin A help keep our vitamin D metabolism in balance. Broccoli has an unusually strong combination of both vitamin A (in the form of beta-carotene) and vitamin K for people faced with the need to rebuild vitamin D stores. · Broccoli contains phytonutrients (glucoraphanin, gluconasturtiian, and glucobrassicin). This trio supports all steps in the body's detox process, including activation, neutralization, and elimination of unwanted contaminants. 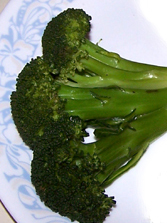 · Broccoli provides special cholesterol-lowering benefits if cooked by steaming. The fiber-related components in broccoli do a better job of binding together with bile acids in your digestive tract when they've been steamed. When this binding process takes place, it's easier for bile acids to be excreted, and the result is a lowering of your cholesterol levels. Vemma is quite possibly the world’s most powerful liquid antioxidant. Tendency to abandon the struggle or in other words “quit”. Training is too intense in relationship to current physical condition. Too many competitions and/or too many maximum reps in training. Use of alcohol, nicotine and other chemicals. Excessive fluctuation of Body Weight. Simply put, if an athlete fails to have sufficient recovery time after training sessions he will eventually feel fatigued and have symptoms we have described. To avoid the overtraining syndrome you can take the following actions. Schedule recovery time just like you would your training sessions. Utilize the principle of Periodization. Alternate high intensity days and light intensity days. Monitor workouts. Always keep a training log. Always eat well. Good nutrition is a big key to recuperation. Insure calorie intake matches calories burned. Utilize nutritional supplements if needed. Pay attention to early warning signs of overtraining. Prevention is always the best way to go. Being a little undertrained is probably better than being overtrained in most cases. Always remember you get stronger when you are away from the gym. One of the tried and true principles of strength training is Progressive Overload. The Progressive Overload Principle states that in order to gain strength you must exercise against a resistance greater than that “normally” encountered. Earle E. Liederman wrote “In order to succeed in exercising, the student must perform progressive work. He must work a little harder each week or month in order to develop his body to its maximum proportions.” Keep in mind he wrote this in 1924. This training principle has been around for some time. 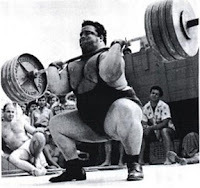 Strongmen have understood for a long time that changing volume, intensity and frequency while training can be very beneficial when trying to break through the inevitable training valleys that occur. This principle can manifest itself in several ways during strength training. Here are some basic ways to use the Progressive Overload Principle. Increase Volume of Work (Exercises) done in a specific time frame. 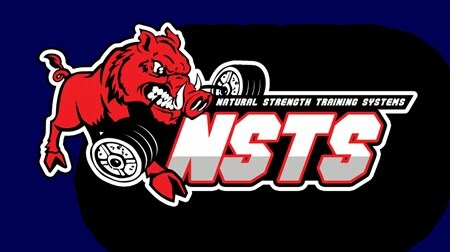 If the strength athlete is not willing to work harder and harder he/she will not succeed. Remember that everyone is different. Utilizing these methods is an individual thing. Try them out and find out what works best for you. Note: You must be careful when using the Progressive Overload Principle in order to prevent over-training. Born Aug 2nd 1878 George Hackenschmidt - known as the 'Russian Lion' was born of German & Swedish descent in Estonia, once part of the USSR, now independent and rightly proud of its famous countryman. A 'strong-man' from the age of 18 he became a champion wrestler by 1900. He then continued an unrivalled career as a word-class wrestler, winning many prestigious awards. 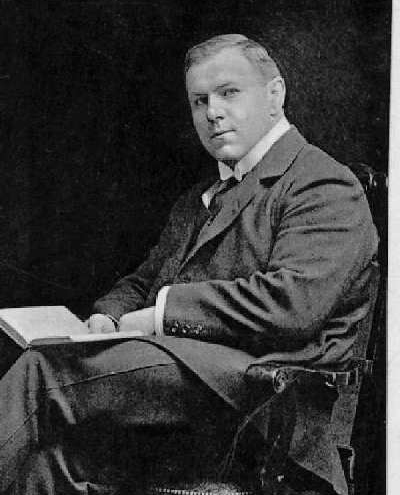 His career culminated in a match with the renowned Frank Gotch which he lost. 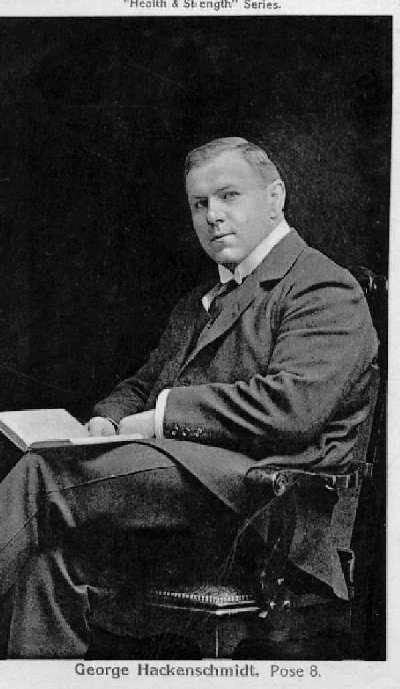 He retired in 1911 and went on to write several books on both philosophy and physical culture. He remained in contact with the fight and strength fraternity. Hackenschmidt died at the age of 90, in London, in 1968. Place wax paper in the bottom of a 13in x 9in pan or dish. Press the mixture evenly into the bottom of the pan.